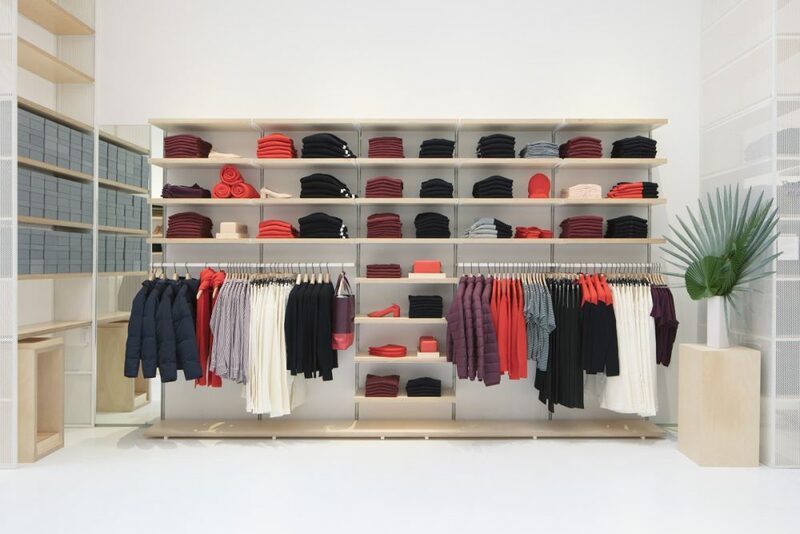 Apparel retailer Everlane has opened its first physical store on Prince Street in New York’s SoHo neighborhood. Customers can go there to shop the latest arrivals and essential products. The store has an integrated ID system that lets you return in store, shop walletless and apply existing credits to your purchase. Being online-only has significant advantages. It’s flexible, it’s lean, and it’s easy to scale. But it has two serious flaws. Customers don’t get to touch or try the product before they buy it. And we don’t get to have in-person-real-life-conversations with our community. We think these connections are more important than ever. So after six years, we’re excited to announce our first location – a store where people can come not just to shop, but to learn, share, and make new friends. An inspiring space as thoughtfully designed as our clothing, where factory stories and educational experiences live alongside product. 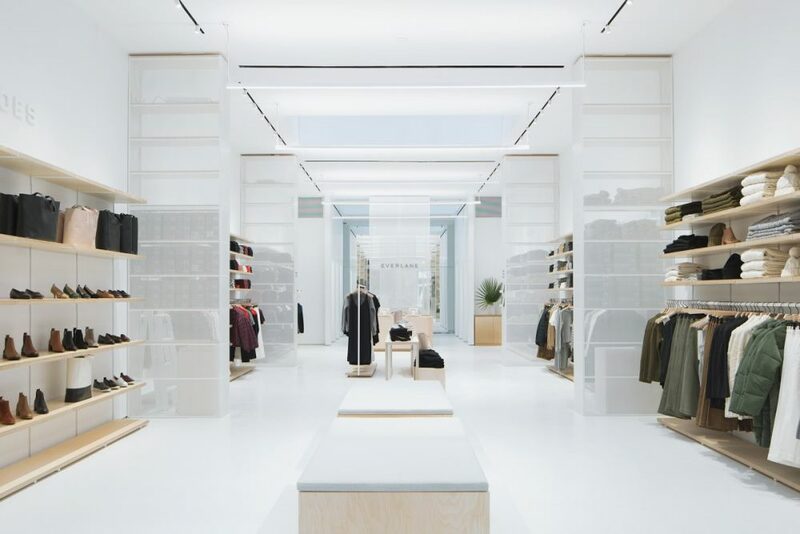 The brick-and-mortar location was designed by Leong Leong, which created a minimalistic yet considered environment that utilizes technology to leverage the seamlessness of online shopping in the physical space. The 3,000-square-foot store is an open and airy environment, with four large skylights providing plenty of natural light. Display units are wrapped in white perforated metal to maintain transparency while incorporating accessible storage on the sales floor. The point-of-sale is reconsidered as a concierge desk to check in customers with the store staff, who can help direct them to recommended products based on their purchase history. Additional check-out areas are nested within the display units to enable staff to facilitate quick transactions for customers. There is also a small lounge at the front of the store, and fitting rooms with a communal area where customers can lounge on a bench while they wait or try on clothes in front of a mirrored wall that anchors the rear of the store.